Which fictional character would you set up a business with? There are several books and online articles out there that compare the management styles and strategising techniques (amongst other, more obscure, traits) of various fictional characters and apply them to real-life scenarios. Some franchises do a roaring trade in self-help style comparisons, take Star Trek for example. Many a blog and book have been written on the merits of Kirk’s characteristics or how to follow Picard’s methods for conflict resolution, each containing advice that you can genuinely use in your own business. Having already pondered and concluded on which incarnation of the Enterprise I’d like to live on, I started to think about other franchises and fictional characters that would make good start-up business partners. That got me wondering how many of you would pick the same ones. 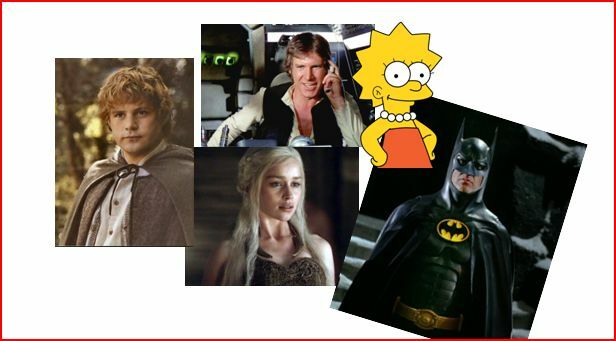 So, here are five shouts for fictional characters that would have something to offer a start-up company. Let us know who you’d pick or who your own ultimate start-up partner would be in the comments! Don’t make the mistake of thinking this one only works if you’re opening a garden centre, there’s a lot to be said for loyalty and compassion in the often cut-throat world of business. Unwaveringly seeing a goal through to the end, no beef with uphill struggles, resistant to the pull of evil distractions…is Samwise your ideal new business partner? Perfect credentials for a start-up partner because, well, she’s started from scratch a few times. Daenerys knows how to corral entire armies so the work force of a small or new business would be like water off a dragon’s back to her. She’s not afraid to make difficult choices and shows outstanding resolve when times are tough…does she have what you’d want in a business partner? There’s a lot of goodwill attached to that name. Someone who is happy to do their homework could be extremely useful for a start-up, all that research would be taken care of and she’d probably nag you to keep on top of your own tasks too. She could create a sense of calm and well-being by busting out some funky sax music while you enjoy what would likely be a very healthy vegetarian packed lunch.